Children who live in institutions want more stable placements with foster families and to remain in contact with their siblings. The findings came out of consultation meetings chaired by Marie-Louise Coleiro Preca when she was family minister, at a time when the Child Out-of-Home-Care Protection Bill was first drafted. Speaking to The Malta Independent, Paul Gatt, who is the president of the Foster Care Association, questioned whether the Family Ministry and the Justice Ministry will consult with the association on the new amendments which are being done to the long-awaited bill. “If there’s anyone who does understand children in foster care, it is us,” Mr Gatt said, hoping that the government will introduce permanent fostering as part of the bill. He said that the ministry only consulted with the association briefly and after “umpteen calls to meet up with the family ministry recently regarding new amendments to the bill have so far fallen on deaf ears”. Mr Gatt said that when he sent an e-mail to the ministry recently to see what had become of the bill, he was told that it is to be discussed by Cabinet. The government is currently reviewing amendments to the long-awaited Child Out-of-Home-Care Protection Bill. However, before the summer it was still contemplating whether or not to include permanent fostering in the bill. The bill has not yet been discussed in parliament, despite the fact it was presented in March 2014 by then minister Coleiro Preca. Dr Farrugia had assured this newsroom in an interview that by the end of summer the amendments should have been reviewed together with the Ministry of Justice, since it is being proposed that care orders will be issued by the courts. 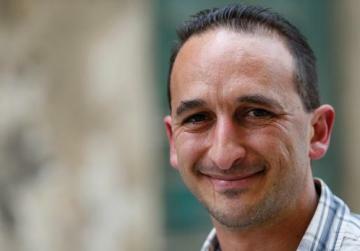 Summer is over and The Malta Independent sent questions to Dr Farrugia on whether the bill will be presented in parliament sometime soon and if he will be roping in the foster care association, among others, on any new amendments. In reply to our questions, the ministry said that the child protection bill is being concluded together with the Ministry of Justice. Amendments will be passed to the Opposition prior to discussion at second stage “as we did with the counselling bill”. The ministry also said that amendments to the fostering law will be discussed with all concerned. Mr Gatt also claimed that he spoke to the Prime Minister in person to set up a meeting, but that hasn’t yet materialised so far either. Mr Gatt explained that placement stability for children in out-of-home care is a priority. “Children cannot move forward and begin to heal the psychological wounds caused by the traumatic experiences they would have been through, unless they are offered peace of mind through stability and permanence in their placements. “Permanent fostering will do the job since children will no longer feel a lack of belonging,” he explained. He said research shows that multiple placement changes can have important ramifications on children’s development. Therefore, placement stability is important for children to develop healthy secure relationships and reduces any potential stressors that may arise from multiple placement changes. Youths who experience minimised placement changes are more likely to experience fewer school changes as well as less trauma and distress, research conducted by foreign experts shows. Mr Gatt said it is important that child welfare agencies find safe permanent homes for children who are in out-of-home care as quickly as possible. He pointed out that international research shows that state residential care is not ideal for most children. Explaining further, he said that those caring for children at residential homes run by the state work on a shift basis. “Does it make any sense for children to be woken up by a different person each day. How will this instil a sense of stability in children,” he asked. He said that the natural parents of children may be experiencing issues such as substance abuse, mental illness, or domestic violence which can potentially lead to mistreatment and neglect of the child. He said it is of paramount importance to see that the process of children being reviewed by social workers is as swift as possible and a stable environment sought. It is also vital that a multidisciplinary team to review such cases is roped in, he added. On the fact that Minister Farrugia said that added financial help will be given to foster parents who accept to care for siblings, Mr Gatt pointed out that while agreeing that where possible, siblings are kept together in principle, each child should be assessed on an individual basis as it is not always good for children to continue living together. Dr Farrugia had pointed out that siblings are not kept together in all cases. “It is only if the board entrusted to review such cases advises that it is best that in certain cases siblings live together under one roof that we will go for this option. “One thing that bothers me is when siblings are separated. We have opened and concluded discussions with the Church regarding the Hamrun Fra Diegu home which has started catering for siblings. “This home has dormitories which allows young siblings to live together but when they reach a certain age, they are moved to another dormitory for boys and girls separately, but remain living in the same building. “The fact that they are living under one roof can help them interact with each other, giving them the opportunity to continue to integrate,” Dr Farrugia had said. This is where the Foster Care Association is not in agreement with the Minister. Paul Gatt explained that in situations where children require long-term care for a long time, possibly throughout their childhood, it does not make sense to place them in a residential home set-up if there is the possibility for them to be placed with foster carers on an individual basis. While each family situation is to be assessed individually, the benefits of being brought up in a family environment, with the opportunities this usually offers children, should not be underestimated. Mr Gatt went on to say that the longer the bill will take to be drafted and presented, the more children will suffer. “Time is flying and the children involved are growing up,” Mr Gatt said. “They have waited long enough,” he continued. What does permanent fostering mean exactly? Permanent fostering is when children will stay with their foster family until they reach the age of 18 and, for many, will continue to be part of that family well beyond then. Permanency enables the child to develop a sense of [emotional] security while in care. Stability is important because it allows children to ‘put down roots’ and develop a network of relationships and because, as Jackson and Thomas (1999) outlined, it is likely to be a pre-condition for continuity in schooling, friendships, health care, and familiarity with the neighbourhood and local community.